Avian flu, also known as “bird flu”, first hit headlines back in 2003 when the first reported case was discovered in Asia. The virus has since crossed into Europe, the Middle East and Africa. Reports that the H5N1 strain of Avian flu has now hit… Egypt adds to the alarming reality of how quickly this virus is traveling around the globe. 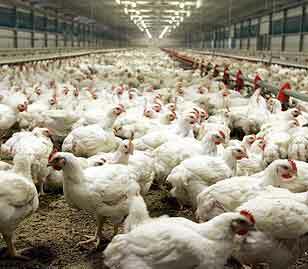 The Egyptian government has reported that there are no confirmed cases of Avian flu in humans. Birds that tested positive were found in Giza backyard gardens and rooftop chicken coops. Other cities with birds testing positive include Minya and Qena. The protein value found in chickens and turkeys is an important part of the average Egyptian diet. The Egyptian government and Health Ministry are on high alert and taking measures to control the virus’s spread. The H5N1 strain has taken the lives of 92 people since 2003. Most of these deaths were from direct contact with infected birds. Reports of human-to-human infection have not yet surfaced. Scientists fear that if the virus mutates, making it transmittable from human to human, the world may be facing a pandemic that no government is prepared to battle. © 2006 Jennifer Fayed Authorization is given by author to share and use for purposes of dawah (invitation to Islam)for non profit publications. If use is for other than non for profit purposes please contact author for other rights which are reserved. I’m Mohammad Afiq, Malaysian & currently studying medicine in Moscow,Russia. I just read your article at IslamOnline.net “Plane Crashes Led Me to Islam-An American Woman Discovers Islam”. It’s very very nice knowing someone who just embraced Islam. Anyway, congratz! & welcome to the true religion. Pray that Allah always leds us to the right path with His nur hidayah. I’m reading through your site and like it very much. Jazakallahukhair. I am a malaysian living in malaysia… muslim by born.. I am grateful to allah for showing you the path to Islam..
May Allah the Most Compassionate strengthen you further with the Fortitude of Iman, Excellence of Health, Expansion of Wisdom, Grace of Saiyidatina Fatimah Az Zahra, Wealth to supplement your life and all the Hasanats of this Earthly Life and the Bounties of the Akhirat! Amin ya Rabbal Alamin. I am Zainol Abideen from the KL Muslims Society , over here in Kuala Lumpur, Malaysia. I started this http://groups.yahoo.com/group/klmuslims to unite the Muslims living here and improve our quality of life in all aspects. Your story that appeared in the Islamonline.net was so pleasant to read that here I am writing to wish you all the best in your endeavours and to express my respect and admiration for the strength you have shown in a time when Islam and Muslims are being vilified for no other reason than that they submit to just One God, and accept that Muhammad , blessed be his soul is the Final Messenger of Allah Subhanahu Wa Ta’ala! I pray that Allah SWT keeps you blessed and protected from all the harms and tribulations of this life! Ameen. Carry on with your beautiful writings and share with the world what you have come to enjoy being in the bliss of True Islam, God’s Complete and Most Perfect Way of Life for the whole of Mankind!